St Wenceslaus was the count of Bohemia from 921 to 935. He was murdered by his brother and was declared a martyr. Nowadays he is still the patron saint of the Czech Republic. 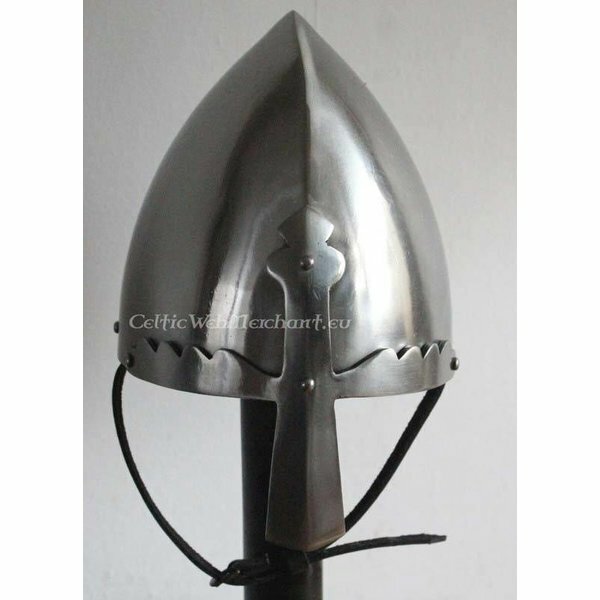 This battle-ready helmet is an authentic replica of the so-called Wenzel helmet, a helmet from the 10th century that was found near Prague. The helmet is made of two halves of steel with a thickness of 2 mm and welded in the middle. The spang is made of 3 mm thick steel and riveted on the helmet. The helmet can be fastened under the chin with a strap with an authentic buckle and has a leather inlay for wearing comfort. It weighs 2,35 kg. 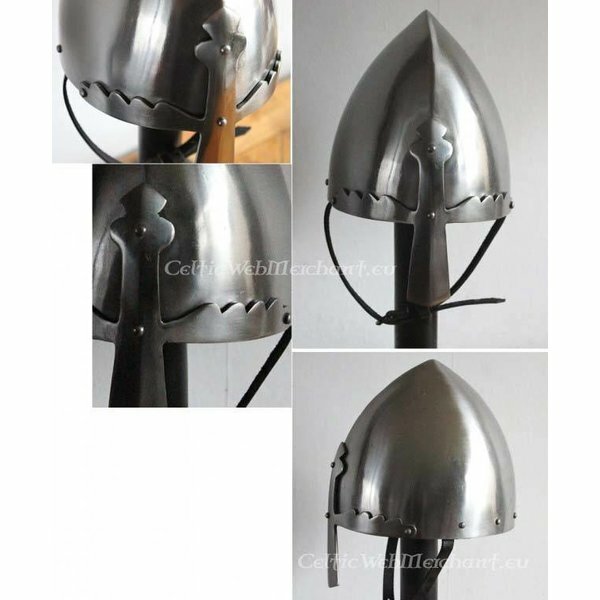 The helmet is available in the sizes M and L, size M is suitable for a head circumference up to 62 cm, size L is suitable for a head circumference up to 65 cm.